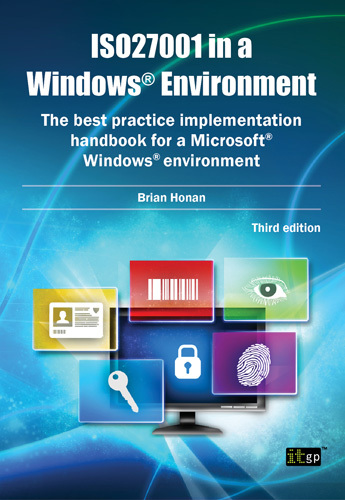 Most ISO27001 implementations will involve a Windows® environment at some level. Unfortunately, there is often a knowledge gap between those trying to implement ISO27001 and the IT specialists trying to put the necessary best practice controls in place using Microsoft®’s technical controls. ISO27001 in a Windows® Environment bridges that gap and gives essential guidance to everyone involved in a Windows®-based ISO27001 project. Details the various controls required under ISO27001, together with the relevant Microsoft® products that can be used to implement them. Explains how to make the most of Windows® security features. Is ideal for bridging the knowledge gap between ISO27001 and Windows® security. Successfully implement ISO27001 in a Windows® environment with this step-by-step guide. Brian Honan is an independent consultant based in Dublin, Ireland. He is an expert on information security and on the ISO27001 information security standard in particular. He has published a number of technical articles and given papers at major conferences on the theme of information security management. He was a founding member of the Irish Corporate Windows NT® User Group and he also established Ireland’s first ever Computer Security Incident Response Team.